Mill Tap Series - Jyoti CNC Automation Ltd.
* Note: For adding above options please contact our nearest branch. Sr. No Particulars Qty Rate Rs. Amount Rs. - All taxes are extra as per Govt. norms. - This scheme & prices are only applicable within India. - All prices are Ex works Metoda, Rajkot. - Fixed advance online payment Rs 1,00,000/- with this order. - Balance payment against proforma invoice prior to dispatch of goods. - For balance payment and other procedural information, please read terms of offer given below on this page. High dynamics structure support rapid up to 40m/min. Column on fixed base with ribbed stiff wall. High speed drilling & tapping operations. 8000 rpm rigid BT 30 spindle. This is a limited time offer. Offer valid till stock lasts, subjected to management decision. This scheme & prices are only applicable within India. Unless otherwise stated, all prices quoted are “Ex works Metoda, Rajkot” and are subject to correction, alteration, modification on account of omissions, errors and variations in foreign exchange rate. In case of any variation in foreign exchange rate affecting the cost of imported materials used/to be used in machine, then the company shall notify such variation to the customer 1 month prior to delivery of machine and the customer must have to pay and bear any upward revision in price of machine quoted hereby. The price shall remain firm unless the buyer is unable to fulfil its obligations under the terms of the offer or in case of any variations in the terms of offer mutually agreed by the parties. All taxes, duties, cess, entry fees, etc. as may be levied by central, government, state government and local government bodies, shall be extra and to be borne by the customer. In case of sale against “C” Form, “H” Form, etc. the customer has to issue the same within the period of 90 days from the date of invoice and in case, the company has not received the said from within the stipulated period, then the customer will be liable for tax difference amount and interest @ 24% thereon. In case the customer is entitled to purchase at nil or concessional or reduced rate of tax under any applicable tax laws of either Central Government or State Government of Gujarat, then the customer must have to deliver valid declaration (in duplicate) along with necessary exemption certificate, documents, if any, to the company within fifteen days of placing purchase order and any failure by the customer in this regard, would not entitle him to claim such exemption/concessional rate of tax from the company and the company is not liable for the same in any manner. Further, the company reserves the right to recover from the purchaser all statutory levies, duties, cess, etc. that may legally become chargeable and recoverable on the transactions. At the time of placing purchase order, the customer has to specify in wiring in his/her/it purchase order of all his/her/it requirements about the machine and in case of any omission, the company will not be liable for the same. Unless otherwise expressly agreed in writing and specify to the company, the manufacturing of machine shall be undertaken as per design and specifications of the company and the company shall not be liable to accept and entertain any such request after receipt of purchase order of customer by the company. 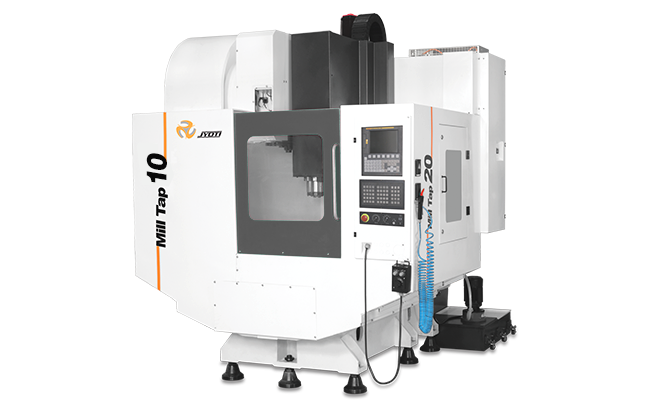 The company may at its own discretion manufacture machines and its components either at its own premises or at premises of its vendor. The Pre Acceptance test at the will of customer shall be given by the company and the test shall consist of machine Geometrical Acceptance and Functional Acceptance. Where the purchase order stipulates that acceptance of goods is subject to tests/trials by the customer, the trials shall be the Company’s normal tests/trials for goods of that type and all costs for other than standard tests/trials required by the buyer shall be borne solely by the buyer. Any material required for such production tests/trials or for commissioning shall be supplied by the buyer at the buyers cost. Also, such tests/trials should be within the scope of stipulations and specification of machine as provided in the purchase order and the customer has to ensure the same. All the payments to be made net of any deductions. Fixed advance online payment – Rs. 1,00,000/- with this order. Balance against Proforma Invoice prior to dispatch of goods. All tooled up/special machines and High end machines shall attract specific staggered payment schedule as per the Final Offer submitted. Any queries with respect to the invoice to be intimated to the company in writing within one week from the date of Invoice. The buyer shall make good the payment within 15 days from the date of submission of documents for collection to the bank as specified and agreed by the buyer, if for any reasons whatsoever and/or failure of the bank to credit the said amount to the company’s account. The warranty period for mechanical parts and CNC systems shall be for 12 and 24 months respectively from the date of installation and commissioning at customer’s site, or for period of 15 months on mechanical parts/CNC system after delivery, if the commissioning is delayed due to reasons beyond the company’s control. The warranty does not cover damages caused by corrosion, inappropriate handling or damage caused by any third party. If, after installation of machine at customer’s premises, any alterations, modifications, changes done by customer himself or without the consent of the company, the warranty on machine shall come to end immediately and the company shall not be liable and responsible for any damage caused to the machine. The time for delivery is based on estimation only; starting from the date of receipt of Technical and commercial clear Purchase Order with the requisite Advance payment and Order Acceptance copy duly signed by the company. The time of delivery shall be deemed to be reckoned from the latest of the following dates, namely either receipt of all necessary information required to be given by the buyer for the execution of the work, receipt of Order Acceptance copy duly signed or when buyer makes the complete payment as per the stipulated terms of offer. Approximate Delivery Time: 10 Weeks, subjected to availability of same machine/s. The company cannot accept cancellation of all or any single machine / items or reduction in quantities ordered which are other than stated in standard product range with special options after the order has once been confirmed and placed in production. The company shall use its standard material in respect to the manufacture of the goods, but if whenever any of the same are not available, the company shall be entitled to substitute the most suitable alternatives that can be obtained at the time of manufacture. For delivery, transportation of goods, the customer has to make arrangement for the same or the company shall make arrangement for the same as per instruction of the customer. However, in all cases, the customer shall have to bear all risks after the goods are loaded on the vehicle and leaves the company’s premises. No claim for shortage or any other queries with respect to delivery be entertained by the company unless notified within 7 days from receipt of the goods and moreover the goods in regard to which such claim shall be made be Preserved intact as delivered till such time the representatives of the company inspect the goods in question. Any breach of this condition shall disentitle the customer to any allowance for such alleged shortages. The company shall not be liable in any manner for damage, delay in transit and transportation of goods. The Customer shall have to arrange transit insurance for goods and also bear the cost for the same. The company shall not be liable in any manner for damage caused to the goods during transit from company’s premises to customer’s premises. This offer is valid for a period of 1 month from the date of this quotation. The goods (including materials, components and accessories) delivered by the Company will only be transferred to the buyer when the buyer has paid all the sums owed to the company on any account whatsoever. Prior to realization of all such payments the company retains ownership of the goods. Orders shall not be treated as cancelled without written intimation and confirmation of the same by the company in writing. Cancellation of order by the buyer does not warrant refund of advance amount paid to the company unless otherwise agreed by both the parties. If for any reason the buyer anticipates his inability to accept delivery on the date intimated by the company he shall notify the company in writing stating the reasons for the same. The company shall notify the buyer in writing to accept delivery of the said goods within further ONE week of grace period. If the buyer fails to accept the delivery within this grace period, the company is entitled to divert the machine to other buyers and a new purchase order has to be raised by the buyer as per the prevailing prices at that time or otherwise agreed between the parties. The erection and installation of the machine shall be done by the customer at his/its premises and upon due confirmation by customer, the Commissioning shall be done by the company’s engineer for first time only. Subsequent commissioning of the same machine due to change in location shall be on Chargeable basis as per the company’s policy. In case of any dispute relating to goods sold, arises between the company and the customer, then the Court at Rajkot shall have jurisdictions and all such dispute shall be referred to the it only. In case of any dispute relating to goods sold, arises between the company and the customer, then the Court at Rajkot shall have jurisdictions and all such dispute shall be referred The company shall be relieved of its obligations under the contract to the extent of which arises from or is attributable to acts, events, omissions or accidents beyond our reasonable control including, without limitation, strikes, lockouts or other industrial disputes (whether involving our workforce or any other party), acts of God, war, riot, civil commotion, malicious damage, compliance with any law or governmental order, rule, regulation or direction, accident, breakdown of plant or machinery, fire, flood or storm or default of suppliers or sub-contractors.